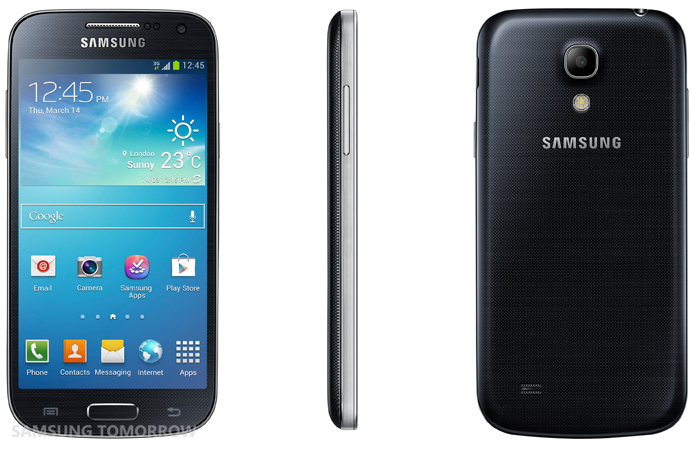 Home News Smartphones Samsung Galaxy S4 Mini now official: A powerful, compact version of the Galaxy S4! Samsung Galaxy S4 Mini now official: A powerful, compact version of the Galaxy S4! Samsung Electronics has just announced the Galaxy S4 Mini, a powerful, compact version of its bestselling smartphone, the Galaxy S4. The Galaxy S4 Mini delivers the superior performance, intuitive ease-of-use and sleek design of the Galaxy S4 in a portable chic and compact design. More about the Samsung Galaxy S4 mini after the jump. That includes the WatchON app with IR blaster, an n 8-megapixel rear-facing camera as well as a 1.9-megapixel HD front-facing camera with Sound & Shot and Panorama modes (but no double shot or 360 photo), Group Play and S Health (but without the barometer, temperature or humidity sensors). The Galaxy S4 Mini will be available in two colours – White Frost and Black Mist. There will be a 4G LTE version, 3G version, and 3G Dual Sim version. There's no official word on price and availability of the device at this time. So, stay tuned!